To reach new heights of originality we will empower Colorado College’s independent-minded people by equipping them with resources to make meaningful contributions to our college and our world. A first-of-its-kind space, intentionally designed to provide additional support to CC’s pioneering Block Plan, is under construction at Tutt Library. The new library will serve as the intellectual hub of the campus, as well as a physical home for the Center for Immersive Learning and Engaged Teaching. Allowing for technology-equipped seminar rooms, study space, and group collaboration rooms, as well as a café, the new building aims to bring the campus community together in both structured and unstructured ways. Being flexible to engage both faculty and student interests will be the key to the physical — and academic — space offered within CC’s new library, which is scheduled to open in August 2017. The renovation preserves some elements of the original structure, while creating a new space that supports collaboration and increases access for all students. The new building will house some 1,100 seats. That’s more than double the 495 seats available in the current library. An increase in capacity doesn’t only apply to seating: CC’s sustainability efforts are also gaining a big boost from the project. While the word “library” may not invoke visions of sustainability powerhouses — a facility of its type is still stocked with shelves and shelves of dead trees — when it comes to the future of Tutt Library, that’s exactly what the campus will be getting. 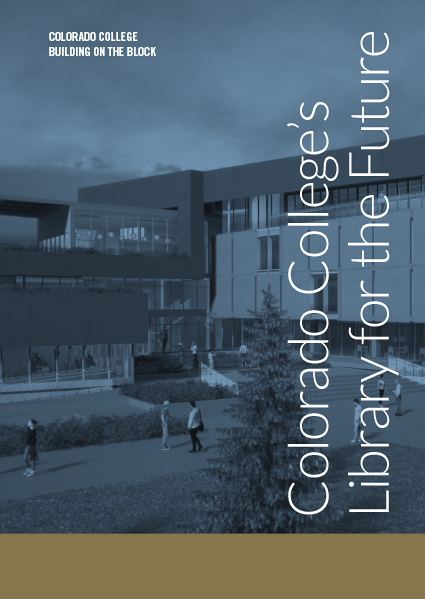 The renovated library will enhance CC’s distinctive sense of place, supporting the college’s strategic initiative to be recognized as a model of environmental stewardship and innovation by advancing both the study and the practice of sustainability. Every detail of the project — from the architecture to the construction process — is conducted through the lens of sustainability. When complete, the new Tutt Library will be a major player in fulfilling CC’s goal of reaching campus carbon neutrality by 2020. When it came to the whole package — everything from building envelope performance, to indoor air quality, to artificial lighting, and more — the Campus Sustainability Council and the Office of Sustainability weighed in heavily on the decision to make the new library a net-zero energy building. One of the key pieces to this will be its continuous loop geothermal heating and cooling system, which uses the thermal mass of the earth to both warm and cool the building. The earth absorbs the excess heat, which cools the water to make its way back up for another pass and absorb more heat that the system is rejecting into the ground. In the winter, the process reverses. Heat that’s been stored during the summer gets transferred back up and through the building. “It’s somewhat of an HVAC miracle,” Johnson says with a laugh. To make all of this happen, CC needs a grid of 80 vertical wells drilled down 400 feet. Along with the big transfer of books, journals, and other materials to the temporary Creekside facility at the northwest edge of campus, it was one of the first parts of the project to begin in May right after Commencement 2016. 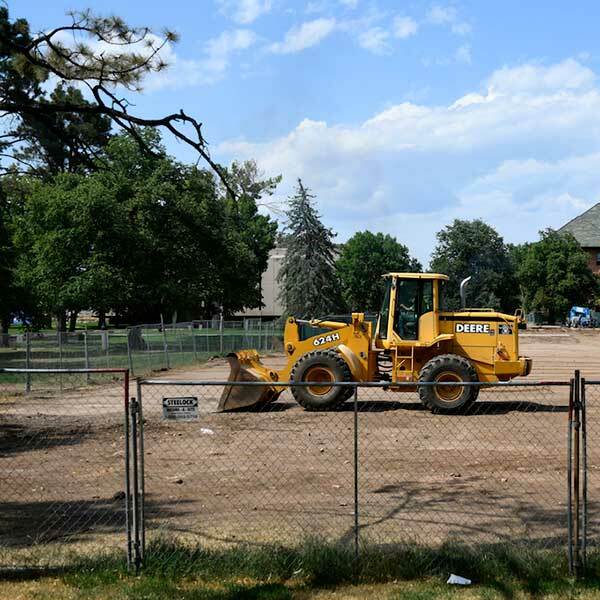 And though it might seem like an expensive ordeal, in the big picture, it’s not for the total $45 million expansion and renovation that will add a modern design, open-concept indoor study space, outdoor terrace space, and expansive views of Pikes Peak. The geothermal system is just one of the new library’s sustainability features. The entire facility is being designed and modeled as a zero-carbon building (ZCB). That means it will produce zero annual net carbon emissions with zero net energy (natural gas and electricity) consumption. The total energy consumed by the building on an annual basis is roughly equal to the amount of projected renewable energy provided to the local grid. new library where the trees once stood. What Ian Johnson says has him most jazzed about this project is seeing all the players who have a vested interest in building a new library with this type of emphasis. Stephanie Wurtz, director of internal communications, contributed to this article. Visit the “Tutt in Transition” website for regular updates about the project, architectural renderings, lots of photos, and 24/7 live webcams of the renovation. Visit CC’s Giving site to learn more about and support the Tutt Library Renovation.